A little hello from cousin goats from Aveyron; sweet, curious, they answer to their name and come to say hello, cut the grass, give delicious milk for cheese, and also if they are curly like the white angora one on the left, they give wool. Do you know the story of “La chèvre de Monsieur Seguin”? 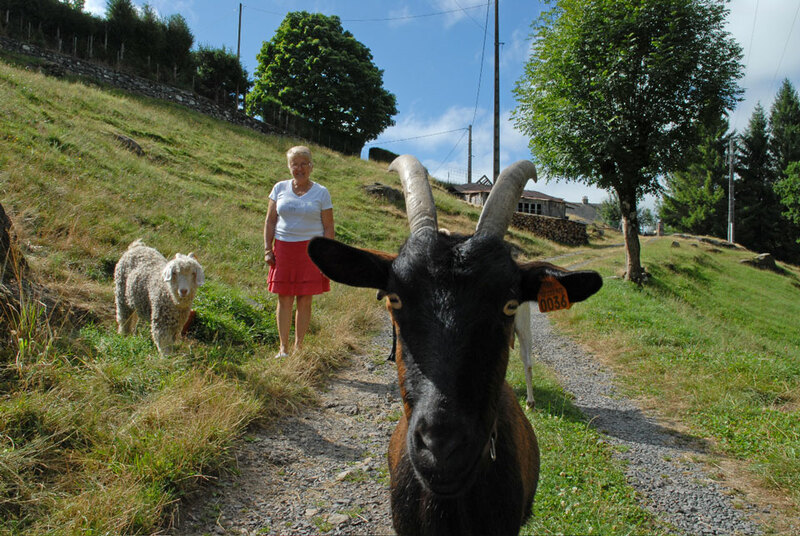 Monsieur Seguin’s goat behaves courageously and fights a wolf all night long because she wants to live free. For this story and more, read “Les lettres de mon moulin” (“Letters from my Mill”) by Alphonse Daudet – delicious tales from Provence.